Competitive Skaters are landing 4 double jumps OR competing at the Pre-Juvenile, Juvenile, Pre-Novice, Novice or Junior level. Skaters who wish to challenge their figure skating skills and who show potential as competitive skaters can participate in the CompetitiveSkate program. CompetitiveSkate is a program for skaters in singles, pair and ice dance wishing to compete in qualifying events within Skate Canada. It’s more than just skating! If I Participate in the Competitive Program, is that All I Can Do? No! Many skaters who compete in the qualifying event structure also take tests in Skate Canada’s STARSkate Program or participate on synchronized skating teams. The only events that you may not be able to compete in are club and STARSkate events, some of which restrict entry of skaters who have competed in the qualifying event system. There are several opportunities throughout the season for skaters to participate in competitive events. 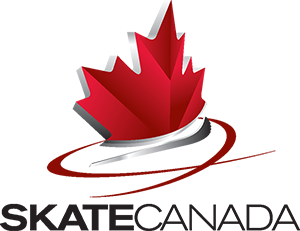 The Skate Canada CompetitiveSkate Program offers nationally standardized competitions to competitive skaters. These events are the stepping stones to things such as the National Team and the World and Olympic teams. Skaters competing in the qualifying event structure can do so at the Juvenile (optional category), Pre-Novice, Novice, Junior and Senior levels in singles, pair and ice dance. To learn more about CompetitiveSkate, please see Skate Canada's website.